Robert E. “Bob” McClain, age 80, of Deweyville passed away on Thursday, January 19, 2017 in Port Arthur. He was born in Tatum on June 19,1936 to parents, Mamie Agnes Myers McClain and Otha Hildredge McClain. He would tell everyone that the night he was born was the night that Joe Lewis fought Max Schmeling and the fight was aired on the radio as he was being delivered. He and his wife, Dot were long-time residents of Deweyville and were raised in the Baptist church. Bob was working at Neely’s Texaco station in Houston when he met Mr. Bruce Keckley and was asked to come to work for him. Thus started a lifelong career and close relationship that would change all our lives. In 1964 they established Specialty Sand Plant in Deweyville and Bob and Dot moved there with their children. His legacy in this business has carried on and blessed his family. He retired after 40 years of service from Specialty Sand, but even in his retirement continued to contribute to his family with his knowledge of the Sand/Abrasive business. He still spoke dearly everyday of what was going on in the Sand business and shared stories of the past. Even at this stage of his life, people that he was in business with would contact him or family members and visit with him and stay in touch. 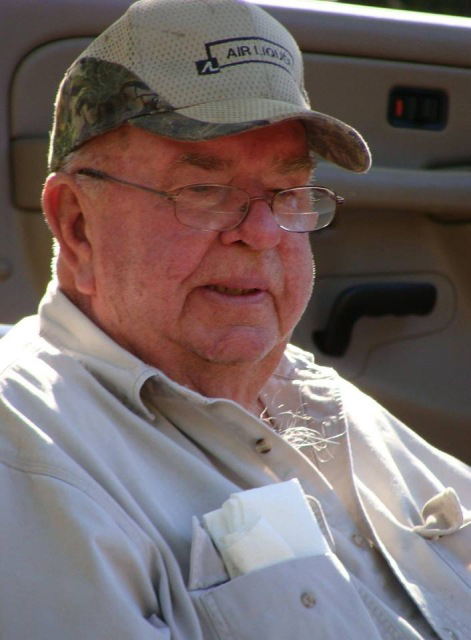 He dearly enjoyed fishing, hunting, wood working, gardening and playing a little golf when he could, whether it be with his family or close friends. Bob had a great sense of humor and enjoyed sharing a good laugh with family and friends. The thing he adored the most was spending time with his large and loud family, especially over a good meal. His family recognizes the blessings they have in knowing that many families don’t share the bond that they have…..all because of two people fell in love many years ago. He is survived by his loving wife and high school sweetheart of 61 years, Dortha Nell “Dot” McClain of Deweyville; son, Glenn McClain and wife, Pam of Deweyville; daughters, Janice Taylor and husband, Terry of Deweyville, Cathy Hopson of Deweyville, Patti Barnes and husband, Shawn of Deweyville, and Kim McClain of Deweyville; grandchildren, Phillip Taylor and Karla, Kevin Taylor, Scott Taylor, Robert Barnes and wife, Lacy, Leslie Grantham and husband, Bobby, Chris McClain and wife, Lacy, Lauren McClain, Brent Hopson, Kaitlyn Byley and husband, Christopher; grandchildren, Landyn Taylor, Mason Gibson, Kylie Barnes, Kamryn Barnes, Emery Grantham, Bella McClain, Acesyn McClain, Lilli McClain, Easton McClain, Bradlee Byley and Dawsyn Byley. Bob was preceded in death by his parents, Mamie Agnes Myers McClain and Otha Hildredge McClain; brothers, Otha McClain, Charles McClain, Larry McClain and Jerry McClain; sisters, Billie McMullen and Joan Connally. Services for Robert E. “Bob” McClain were held at 3:00 p.m. Sunday, January 22, 2017 in the Dorman Funeral Home Chapel with Rev. Damon Bickham and Rev. Brad Bickham officiating. Services were also held at 1:30 p.m. Monday, January 23, 2017 in the Ratcliff Baptist Church with Rev. Dennis Morgan and Mr. Bill Cole officiating. Interment followed in the Mt. Vernon Cemetery. Online condolences may be made at www.callawayallee.com.